The Food and Drug Administration (FDA) is taking steps to help protect consumers from skin damage caused by excessive sun exposure. Aruba has been recognized as a winner in the 2015 TripAdvisor Travelers’ Choice™ awards in the Top 10 Islands — Caribbean category, ranking 8 out of 10. For the third year running, TripAdvisor has recognized the world’s top islands based on millions of reviews collected that year from travelers around the globe. Spend your summer at Tamarijn Aruba where the views are all ocean and the fun never stops. Go windsurfing, snorkeling, kayaking; climb the 30-foot rock wall; or simply relax taking in the mile long beach. It’s all included and for a limited time, up to two kids stay free when sharing a room with two adults. 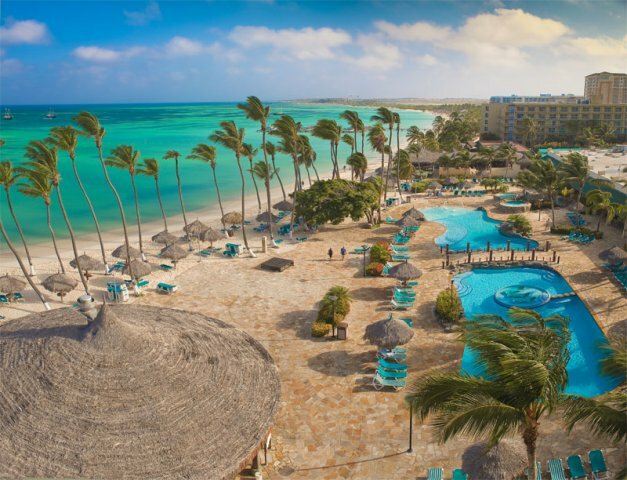 Holiday Inn Resort Aruba presents two different all-inclusive packages created according to your needs and expectations. Whether you are traveling alone or with your significant other, or you are traveling with friends or the entire family the Holiday Inn Aruba has what you need. A complete package for you and your group. You'll never have to worry about food or spend time scheduling activities to entertain your family. This incredible Family All Inclusive features room accommodation, three meals, local brand liquors and resort amenities. Traveling doesn't have to be that complicated. The Tamarijn Aruba All Inclusive Earns Induction Into TripAdvisor's "Hall of Fame"
ORANJESTAD, ARUBA - (June 1, 2015) - The Divi & Tamarijn Aruba All Inclusives continue to stand out as premier resorts, as the Tamarijn Aruba All Inclusive has just been inducted into the TripAdvisor® "Hall of Fame" and the sister properties earned distinctions of excellence from two of the top travel review websites, TripAdvisor® and Family Vacation Critic.